This is an important question, especially when you consider the topic of discounting. When I heard this question, the first thing that I thought of was Deb Calvert's book, "Stop Selling and Start Leading", that she wrote with leadership experts Barry Posner and James Kouzes. In their research they found that buyers really appreciate and value a personal and customized experience. They shared both their research and five leadership best practices for sellers to adopt to create that experience. Now, if you're a salesperson, then know that your ability to sell consultatively to help buyers make the best decisions is crucial to both creating that experience and uncovering what the buyer deems as valuable. Because value is in the eye of the beholder. There are several attributes to be able to master these competencies- but what they have in common is active listening and asking a lot of really great, and tough, questions. Now, great questions (and sometimes tough questions) are that second layer of questions that explore why something is a problem and whether or not the buyer realizes it. It's this second layer of questions in your thread of questions that is needed to elaborate about what you've discovered in that first layer. Why are these questions so important to adding value? A Stanford University study that showed that when you're asking these types of elaboration questions, it helps the asker, or in this case the salesperson, understand someone else's viewpoints. You're getting their world and their perspective from their words. The study also showed that these types of questions also helped the person who was being asked, i.e., the buyer, to be more receptive to other ideas, even if those ideas are contrary to their own. So, asking elaboration questions help sellers to understand buyers, but it also helps buyers to start to see things from a different perspective. There's the study from Harvard University that showed how disclosing information impacts our brains. Using functional magnetic resonant imaging (FMRI), it showed that those people who answered the type f questions that required them to state their opinions "increased the activity in the area of the brain associated with reward and pleasure". Which means that buyers actually like answering these types of questions! Who doesn't like talking about what they think? So, if you only ask this first layer of questions, then you've missed an opportunity to create an experience that buyers value. And if you've missed the second layer, guaranteed you have certainly missed the third layer, and that's my favorite. The third layer of questions is how you uncover why this important for them to fix. What are the consequences of the problem or impact of the opportunity? How will that effect them professionally and personally? This third, and most important level of questions, gets to their buying motivation, or reason to change the status quo. It also gets buyers to look closer to what it is they want or wish to avoid. 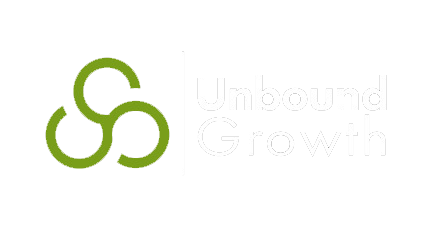 Understanding how they're going to benefit from the solution enables you as a salesperson to show how the solution is going to satisfy that. This is how salespeople can build trust with buyers because they feel that salespeople get them. You're aligning your goals together. But, here's the kicker. Those who are using discounts to try to create urgency are doing the exact opposite of this. 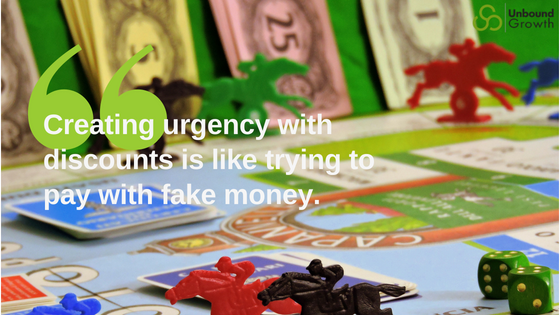 They're less likely to "create urgency" with a discount because it's not real, it's fake urgency- like the play currency we use in board games. When you've asked layered questions, you've uncovered their urgency to act, and if you need a discount to get someone to try and act, then you missed some major points. But if this is you, you're not alone. There's data from Objective Management Group that tells us that the top 10% of salespeople in the world have 62% of the attributes necessary to master consultative selling, and 83% of the attributes necessary to truly sell on value. Whereas the bottom 10% of salespeople only have 31% of the attributes necessary for a consultative seller, and 39% for a value seller. This is one reason why discounts are such a widely used tactic in sales today. There's still a lot of work to do in order to eliminate this archaic practice of end of month discounting. Of the nearly 1.8 million salespeople worldwide, they only have 45% of the consultative seller attributes and only 60% of the value seller attributes. It's do or die time for some organizations out there, is yours one of them? Join us on the next #livesaleslab! Join us for an upcoming #livesaleslab to discuss best practices that salespeople need to succeed everyday.